A Bengali feast is an elaborate spread of myriad flavours that will have you raving about the delicacies for days to come. With Durga Puja right round the corner, this is the perfect time to indulge in authentic Bengali dishes, best had at a Bengali friend’s residence. From Fish Chops and Devilled Eggs to Kosha Mangsho, Bhapa Ilish, Bhetki Paturi and Mishti Doi, you will be spoilt for choice. And if you are among those who enjoy pungency in your food, then you definitely will notice the potency of Bengal’s favourite mustard sauce – kasundi. Just like wasabi, kasundi is highly pungent, with the power to zing your nasal passages and bring tears to your eyes. One can’t really imagine munching on Bengali snacks like cutlets and chops without having a serving of kasundi on the side. It pairs effortlessly well with the deep-fried spicy treats, adding the much needed pungency and tartness to the flavours. But old school Bengalis will tell you that this condiment was traditionally never served with these treats. That’s a practice which evolved in the restaurants. At home, they would team it with vegetable stir-fries or mashed treats. While this Bengali condiment seems to be a hot favourite ingredient in restaurants across the country in the recent times, it has been a common fixture in Bengali households for centuries. 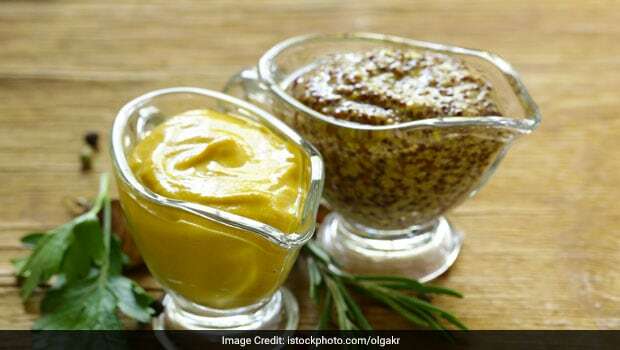 Post the harvest of mustard during winter, it was in the months of April-May (in the New Year) that the custom of kasundi making was followed in the Bengali household. It is also said that initially, it was only the Brahmins who would prepare this condiment, and it was mostly relished by the elite. The making of kasundi involves the process of fermentation. Of course different households follow their own unique recipe, but the difference more or less stems from the use of spices. A handful of spices are used which could include green and black cardamom, cumin, coriander, nutmeg, mace, long pepper, chillies, black pepper, etc. First, black and yellow mustard seeds are thoroughly washed and drained. Then they are ground with the spices to make a paste, along with the addition of a little water and salt. It was then transferred to earthen pots, sealed and left to ferment for two days in a cool place. This is the time when the flavours develop – the distinctive pungency, slight tang and the spicy notes.